Amitabha Mazumder, MD is a Professor of Medicine at New York Medical College, specializing in bone marrow and blood stem cell transplantation and is the Director of the Multiple Myeloma Program. He received his medical degree from John Hopkins University School of Medicine and did his residency at Baylor College of Medicine. Dr. Mazumder served four years as a clinical associate in hematology and medical oncology from the national Cancer Institute (NCI) at the National Institute of Health. He is a Member of American Association for the Advancement of Science, American Association for Cancer Research, the American Association of Immunologists, American Society of Clinical Oncology, and American Society of Hematology. Dr. Mazumder is a frequent guest speaker at several conferences and conventions and is a reviewer for NIH Study Sections on experimental immunology and experimental therapy. 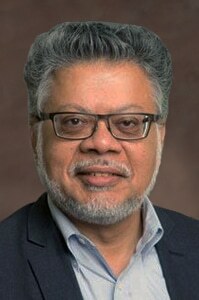 He is on the editorial board of the International Journal of Oncology and reviewer for Nature, Science, and The Journal of Immunology Oncology and reviewer for Nature, Science, and The Journal of Immunology and has contributed more than 130 articles to peer-reviewed journals and has a number of grants, patents, abstracts, book chapters, and invited presentations to his credit.